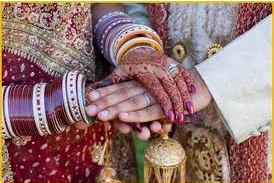 Indian Ceremony Terms - Sonal J. Shah Event Consultants, LLC. Anterpat, a curtain separating the bride and groom who are standing opposite of each other. Hastamelap, a ceremony where the right hand of groom is placed in the bride’s right hand whilst chanting the holy verses. At the end of this the priest will signal the removing of the cloth and the completion is announced by spontaneous beating of drums and with ladies from both families singing. The bride and groom then garland each other to complete the Hastamelap. Milni is the meeting of all the men from each family. 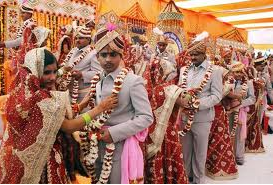 Baraat is the groom’s wedding procession. 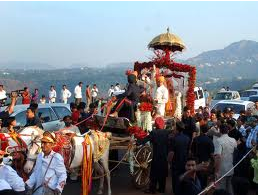 It is customary for the groom to travel to the wedding venue on a mare, accompanied by his family members.